London: Just 12 months ago, Novak Djokovic arrived at Wimbledon with the world at his feet, but he returns to the All England Club with his career in crisis after an astonishing fall from grace. 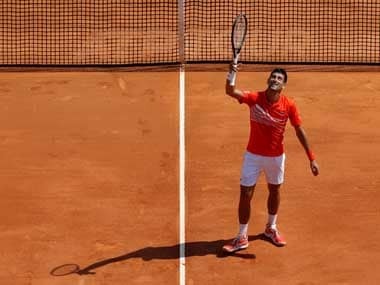 Having finally succeeded in his quest to win the French Open last year, Djokovic appeared poised to join the tennis immortals. The Serb was the first man since Rod Laver in 1969 to hold all four Grand Slam titles at the same time and had won Wimbledon in 2014 and 2015, adding to his 2011 triumph. So when he strolled onto Court One to face Sam Querrey in the Wimbledon third round there appeared no end in sight to Djokovic's reign as the sport's preeminent force. Instead, he gave such a curiously lethargic performance that Querrey was able to win the rain-interrupted encounter to end the then World No 1's streak of 30 straight Grand Slam match victories. It was a seismic shock and plunged Djokovic into a tail-spin. Djokovic has lurched from one problem to another in 2017, losing to World No 117 Denis Istomin in the second round of the Australian Open. Having parted with coach Boris Becker at the end of last year, he has split with long-time associate Marian Vajda. Djokovic has also taken to consulting regularly with 'spiritual adviser' Pepe Imaz, a former player who runs a tennis academy in Spain for underprivileged children, called "Amor y Paz" (love and peace). In recent months Imaz's influence has been seen in Djokovic's new habit of forming a heart shape with his hands and gesturing to the crowd after he wins a match. 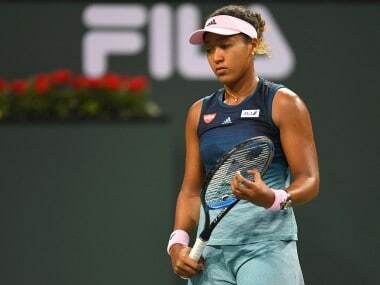 Unfortunately for Djokovic, those displays of affection have been few and far between as he slumped to surprise defeats against Nick Kyrgios and Alexander Zverev, hungry youngsters who displayed the drive so noticeably missing from his game in recent months. John McEnroe is concerned Djokovic's desire to show the softer side of his personality has robbed him of the ruthless streak needed at the highest level. "From an emotional standpoint he perhaps felt he wanted to bring in somebody who wants to give people a lot of hugs. That does not necessarily translate to having that killer instinct," McEnroe said. "It does not automatically lose it, but you don't want to get into a situation where it is all peace and love and then have to go out and try to stomp on somebody's head in competition." Describing the changes as "shock therapy", Djokovic hired American legend Andre Agassi as his coach in time for the French Open. 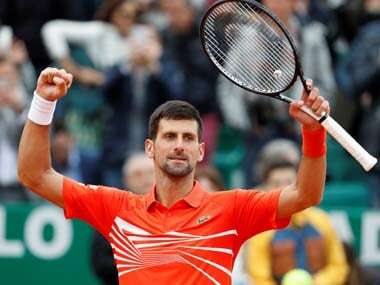 But Agassi failed to deliver an immediate improvement as Djokovic crashed to an embarrassing quarter-final defeat against Dominic Thiem at Roland Garros. The 6-0 'bagel' handed to him in the third set by the Austrian was the first time he had suffered such an indignity in 12 years and he was accused of giving up as the defeat became inevitable. But Djokovic is still seeing positives. "I was very fortunate and privileged to have so much success in the last eight, nine years, and kind of entered most of the tournaments as one of the biggest favourites. So for a change it's good to not be one of the top favourites," said Djokovic. "It is liberating a bit, it releases a bit of the pressure. You still feel it. It's part of what I do. And what I have achieved so far has added to those expectations. "I try to lower those expectations myself, because I really want to as much as I can be in the moment and trying to focus only on what comes up next, which doesn't mean that I don't want to win the trophies." With his world ranking down to fourth, Djokovic took the unusual step of entering the grass-court tournament at Eastbourne this week. It was the first time the 12-time Grand Slam champion has played a competitive tournament between the French Open and Wimbledon since 2010. Djokovic travelled to the south-coast hoping the sea air would reinvigorate him, but until he thrives in the rarified atmosphere at Wimbledon the doubts will remain.